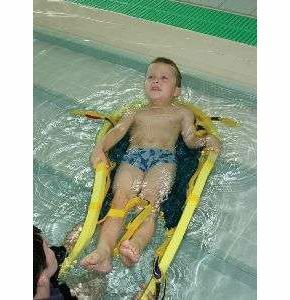 Floating Pool Sling For Use During Hydrotherapy. 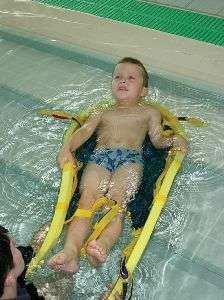 This floating pool sling has benn designed to make it easier for the carer during hydrotherapy. Used as a conventional pool sling for lowering and raising the client in and out of the pool. The foam band maintains the shape of the sling on the surface of the water, allowing the userto be floated on and off. 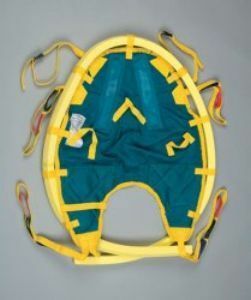 Float slings are available in 4 sizes from children's to adult. General size guide: Measure from the base of spine to middle of shoulders and choose sling with the closest measurement.